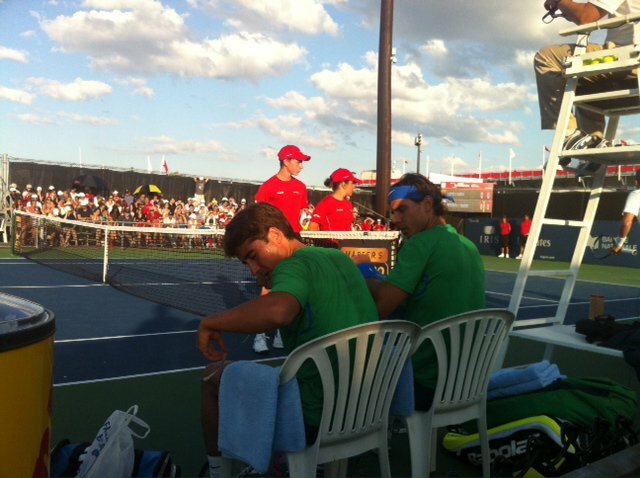 Next up Rafa's team posted a photo on his Facebook with Marc and Rafa on doubles action! The Rogers Cup Begins!!! 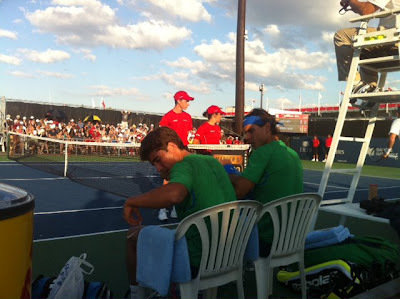 Rafa's Team"
We have tried, but they were better than us. Now I must prepare the next match against Ivan Dodig! 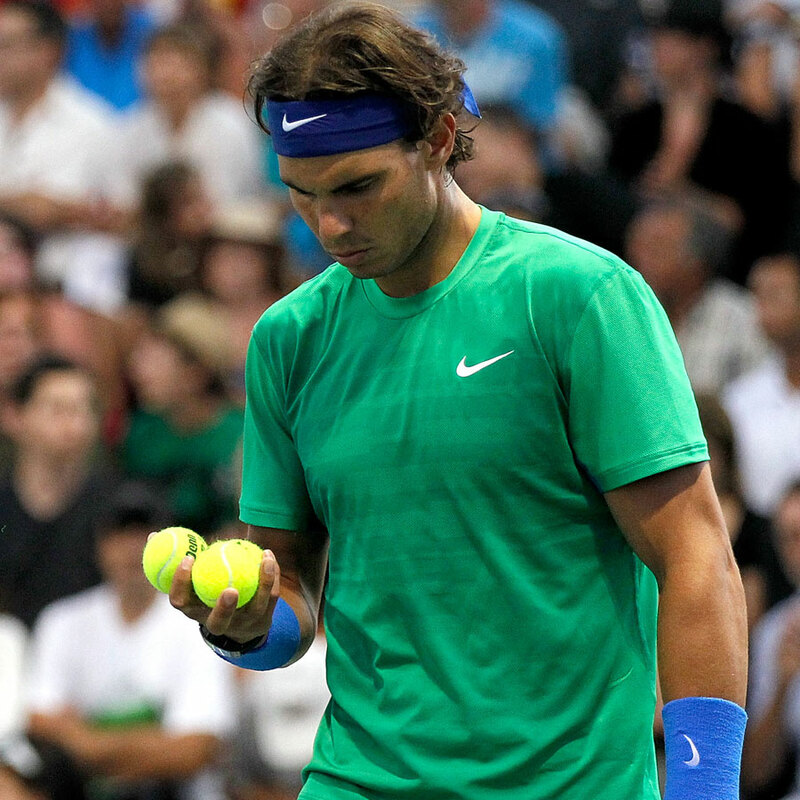 Rafa".